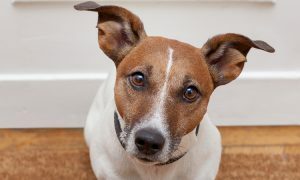 The commercial features rescue dogs, such as Max, who was adopted in 2014 after being spotted on Adopt-a-Pet.com. Before he was put up for adoption, Max was picked up as a stray and delivered to a “high kill” shelter in San Bernadino, CA. The shelter only keeps dogs for five days before it puts them down, and after Max had been at the shelter for four days, a worker reached out to The Dexter Foundation, a local non-profit dog rescue and adoption agency, which quickly rescued Max and found temporary foster care for him. Adopt-a-Pet.com currently has more than 15,000 shelters and rescues in its network, and it is thrilled to be partnering with Coldwell Banker.